Spend the 9th (Tue) among aquatic life with a scuba or snorkeling tour. Next up on the itinerary: explore the activities along Kayangan Lake, take in the natural beauty of Maquinit Hot Spring, head off the coast to Siete Pecados, and take in the awesome beauty at Mt Tapyas. For photos, where to stay, maps, and other tourist information, you can read our Coron vacation builder. Kuala Lumpur, Malaysia to Coron is an approximately 15-hour flight. Finish your sightseeing early on the 11th (Thu) to allow enough time to travel to El Nido. Puerto Princesa is known for nature, historic sites, shopping, wildlife areas, and museums. 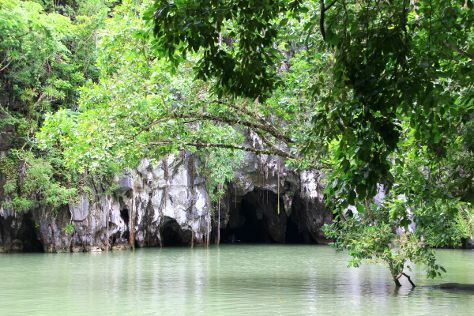 Your plan includes some of its best attractions: Head underground at Puerto Princesa Underground River, contemplate the waterfront views at Honda Bay, look for gifts at Baker's Hill, and take in the dramatic natural features at Ugong Rock. To see reviews, ratings, and more tourist information, refer to the Puerto Princesa travel itinerary planner. Fly from Coron to Puerto Princesa in 4 hours. Alternatively, you can ride a ferry. In May in Puerto Princesa, expect temperatures between 38°C during the day and 30°C at night. Finish your sightseeing early on the 14th (Sun) so you can travel back home.